This event is Co-Presented by ABC Home, and will take place at the Deepak Chopra Homebase. 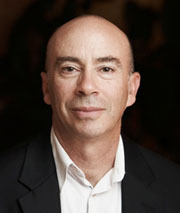 Marc Lesser is internationally recognized for pioneering work in mindful leadership, creating exceptional business cultures, and supporting profound well-being. In this workshop, you’ll explore the tools you need to shift awareness, enhance communication, build trust, eliminate fear and self-doubt, and cut down on unnecessary workplace drama. Co-presented with ABC Carpet and Home.